Celebrate the year of the Earth Pig this Sunday, February 10th at the International Folk Art Museum! Folks born in the year of the Pig are said to be generous, diligent, and compassionate and possess great concentration – once they set a goal, they devote all their energy to achieving it. Pigs rarely seek help from others, but they are quick to give others a hand. 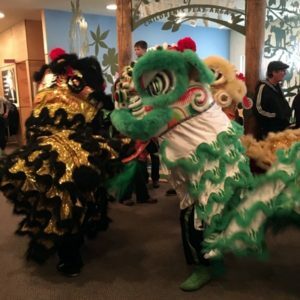 Festivities include a Lion Dance performance and parade at 1:30 and 3:30 pm, Mochi Tsuki Rice Cake Pounding presentation by Santa Fe JIN, and hands on art making of paper lanterns and paper drums.